In honour of our upcoming trip to Aviation Festival Asia 2018, we’ve decided to take a closer look at the state of Chinese aviation in 2018. Read on to gain insight into the major trends set to impact the most dynamic APAC market today, and what the implications could be for Chinese aviation recruitment. What’s happening in the world of Chinese aviation today? 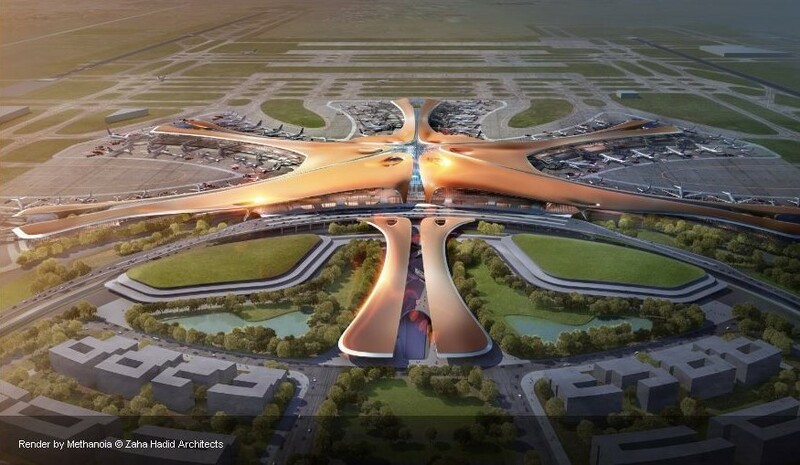 Daxing International (Beijing) will become the world’s largest airport when it opens in 2019. The facility will house eight runways and accommodate 100 million passengers each year. The sheer size of this development has given rise to its own “air transport-related economic zone”. Aviation companies set to service the airport will gather together here en masse. With three other airports already operating in Beijing, this will put a premium on aviation job candidates in the region. Such demand could result in a localised recruitment drive and moves to attract skilled staff from further afield. China will claim the mantle of largest global aviation market within five years and become the biggest source of outbound passengers. Chinese aviation will require 100,000 new pilots and 106,000 new technicians within the next five years. With a global pilot skills shortage and the APAC market set to grow at a CAGR of 4.2%, Chinese aviation companies will need to get creative with their hiring. While China has developed a reputation for poaching staff from foreign markets, this model is unsustainable. China might well look to rapidly upscale its training capacity to service its own needs, and other local markets. Unsurprisingly, the Chinese aviation market is heavily influenced by the state. However, government officials are starting to relax regulations. New rules will make it easier for non-state-owned entities to invest in the civil aviation industry. However, the ‘big three’ airlines and all hub airports will remain under state control. Such a shift could increase competition, making hiring processes more reactive and less likely to be led from the top-down. This could open the door to more dynamic, contemporary recruitment techniques. China’s mission to grow its national and regional aviation capacity has seen the country open up several new routes. However, the routes recently opened in the Taiwan Strait are being disputed by the island’s government, as is the case elsewhere. This demonstrates a potential barrier to growth. New regional routes will increase opportunities for Chinese aviation to recruit skilled staff from overseas markets. It could also enhance growth of the aviation markets chosen as preferred destinations. So, with all this and more on the horizon, Chinese aviation truly appears to be in the ascendancy. Discover how AeroProfessional can help give aviation companies the capacity to grow anywhere in the world by joining us at Aviation Festival Asia 2018, or speaking to our friendly team.